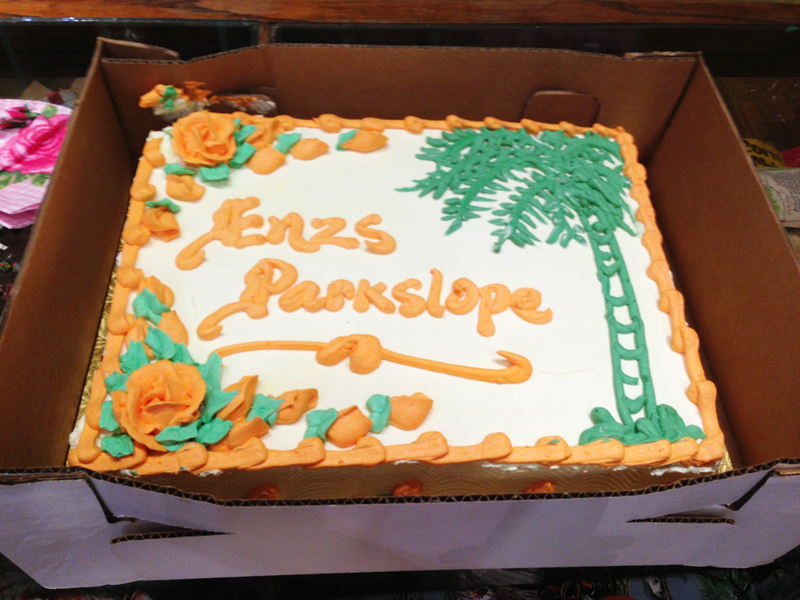 Enz Park Slope Store Opening! 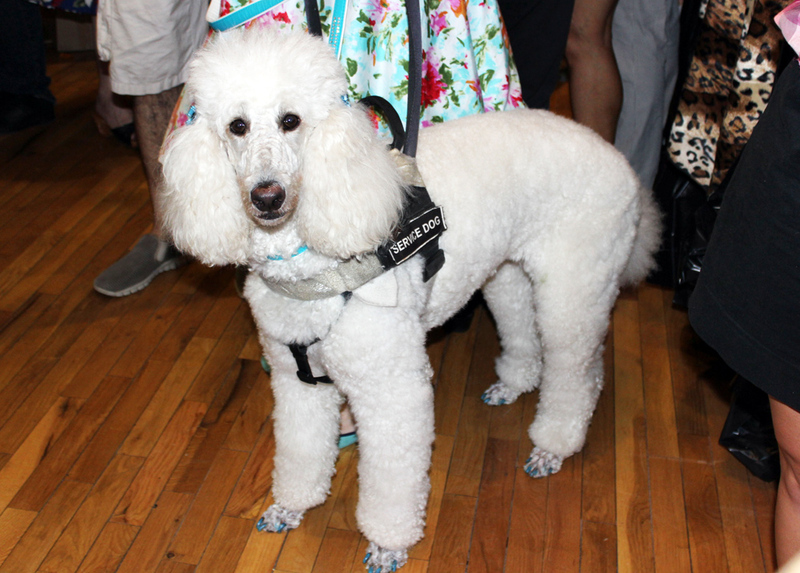 It was the grand opening party for my friend Mariann Marlowe at her new Enz shop in Park Slope and I was stoked to attend and see her new store. Mariann still has her original Enz store in the city; that is where I met her a few years ago and I have adored her ever since. I used to scour the internet for vintage reproduction apparel until I discovered Enz. 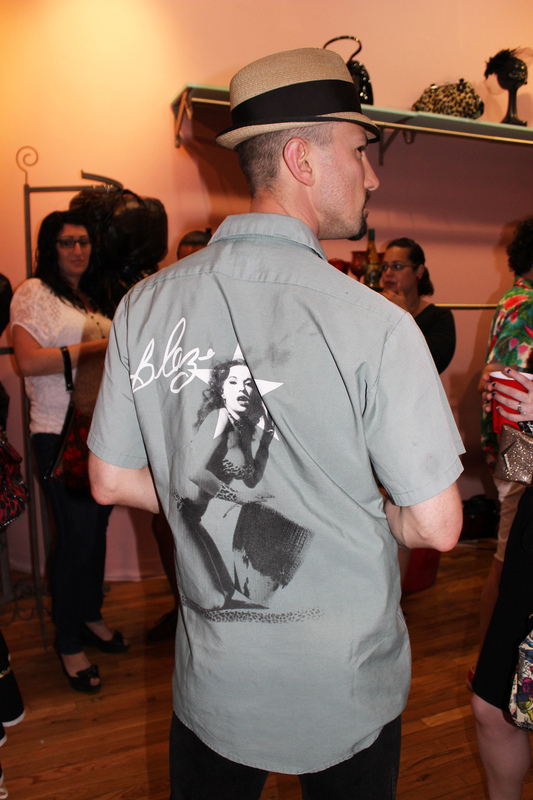 It was the first store in New York that offered apparel and accessories from rockabilly designers all over the world so it became my go-to spot for the best threads. Now we are fortunate to have more than one shop here in NY spreading awareness of this beautiful rockabilly culture I love so much. 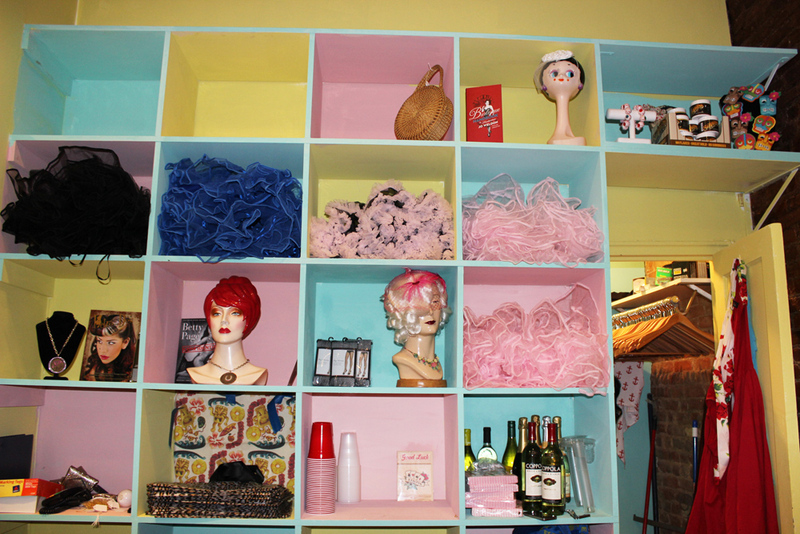 NY needed this growth spurt of rockabilly businesses because the culture is growing at a rapid pace. 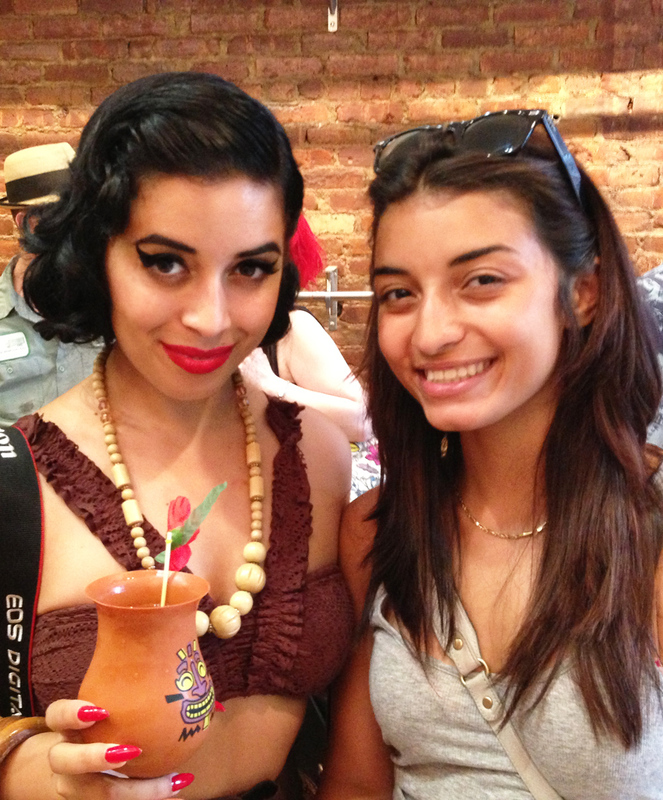 We need more events, more shops, more Rebel Nights, more classic cars, and more pinups here in NYC. The more this happens, the less people ask me if I am going to a costume party lol. But it seems as days go by, I see more and more people reflecting the 1950s in their personal style so hopefully us veterans won’t be rockabilly unicorns forever. Anyway, I had a blast at the Enz opening party and met some really cool unicorns. 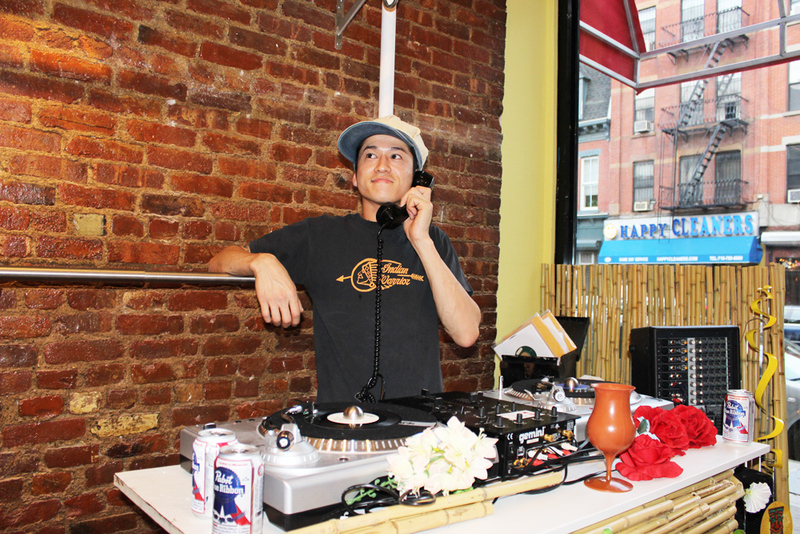 Everyone mingled and danced to DJ Sei’s 1950s tunes while munching on pretzels, zombie lollipops, nachos, and cake with pina coladas in hand (mine was virgin:) ). 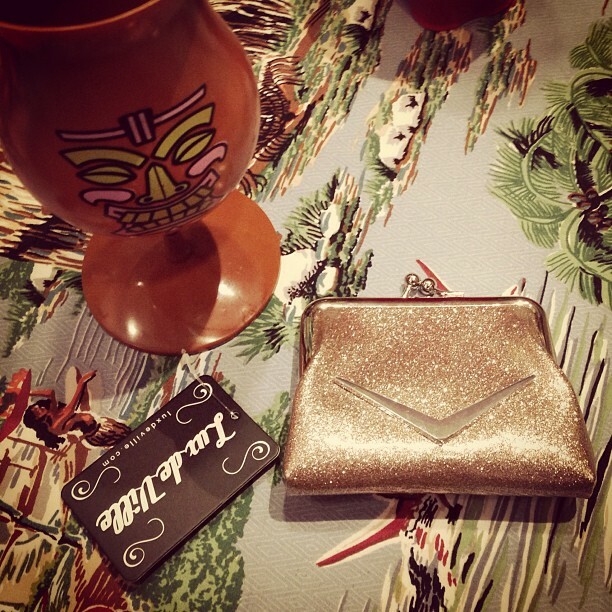 We also got the best party favors, Lux De Ville coin purses! It was certainly a tiki party and I was coincidentally dressed for the occasion in a vintage tiki skirt, sun top, and wooden jewelry. 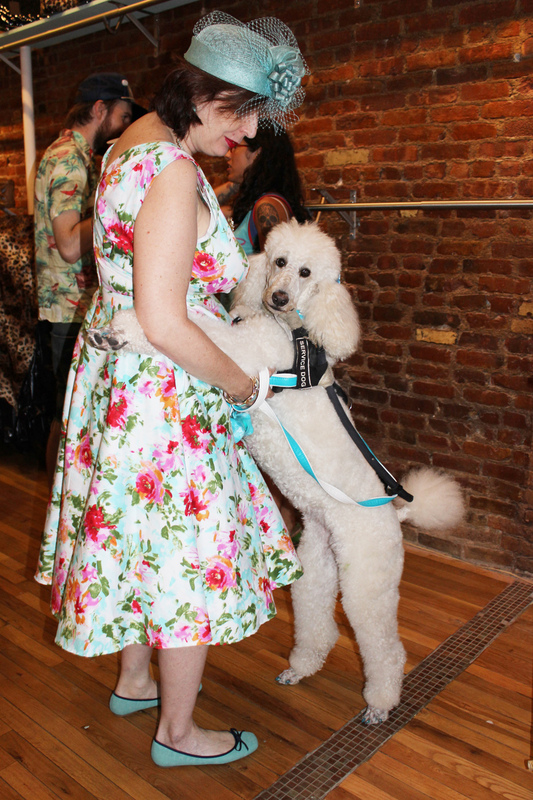 It was a lot of fun and I am glad I came to show this bombshell some Brooklyn love! My skirt is vintage and was a gift from my friend Chidam and my top is actually a modern swimsuit top I found at the Salvation Army. Vintage sun tops are hard to find so sometimes you have to improvise :). My shoes are wedges from Payless. I buy them every summer, wear them to death, and throw them away. They are my go-to “flats” when I need to give my footsies a break. My gems are all vintage and made out of wood :). My cat eyes are not too vintage and were purchased at the Electric Lemonade Shop in Vegas. 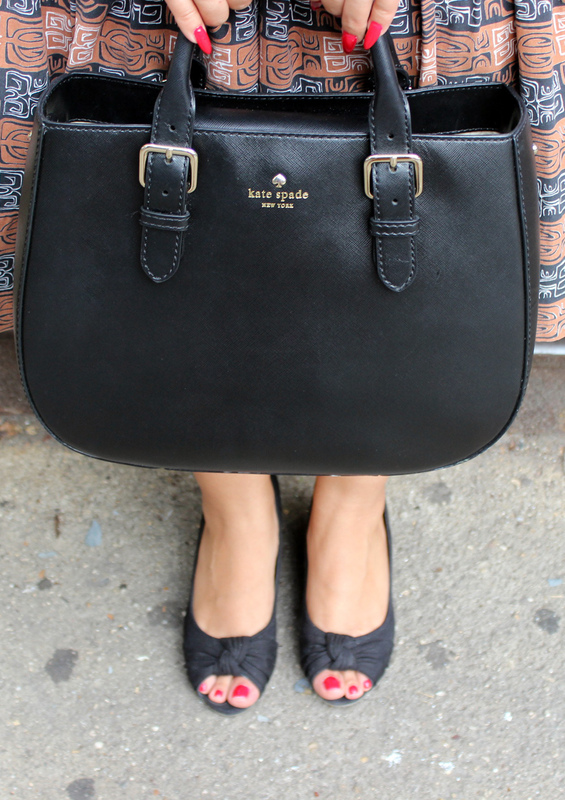 My purse is by Kate Spade. I wear it almost every day and want it in every color lol. Off to the party! WOOP WOOP. DJ Sei spinning records! I can only imagine the greatness that will be placed on these shelves! Woo happy born day Enz part 2! Lux De Ville coin purses! EEEEK. 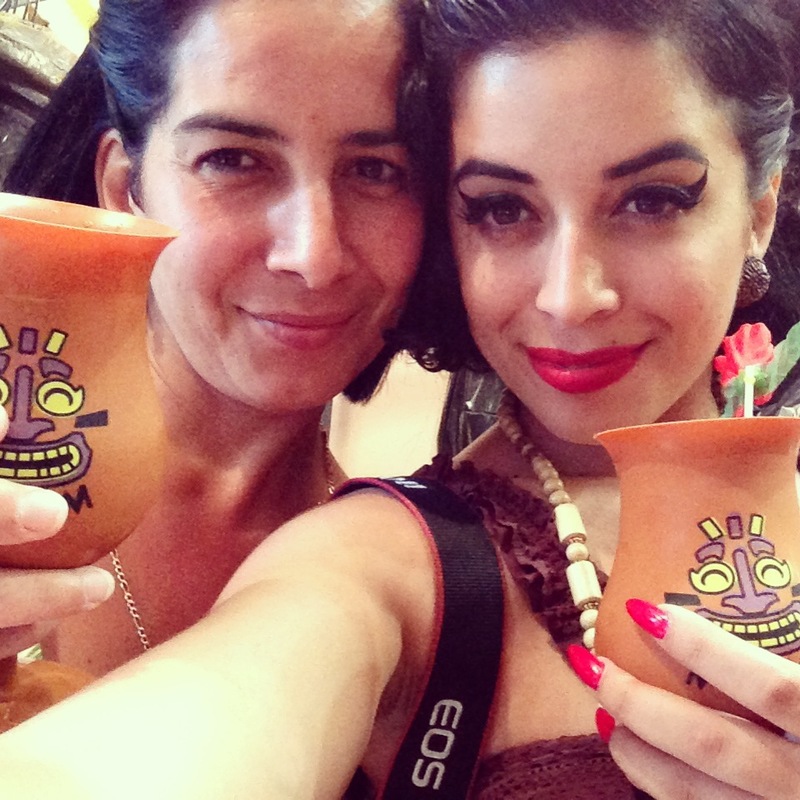 Tiki cups and Lux De Ville! Yummy! There she is! Enz Maven Mariann Marlowe looking stunning in a silver lurex dress! Mariann and her good friend. I kidnapped my sister from the house to come with my mom and I to this party and she had fun! 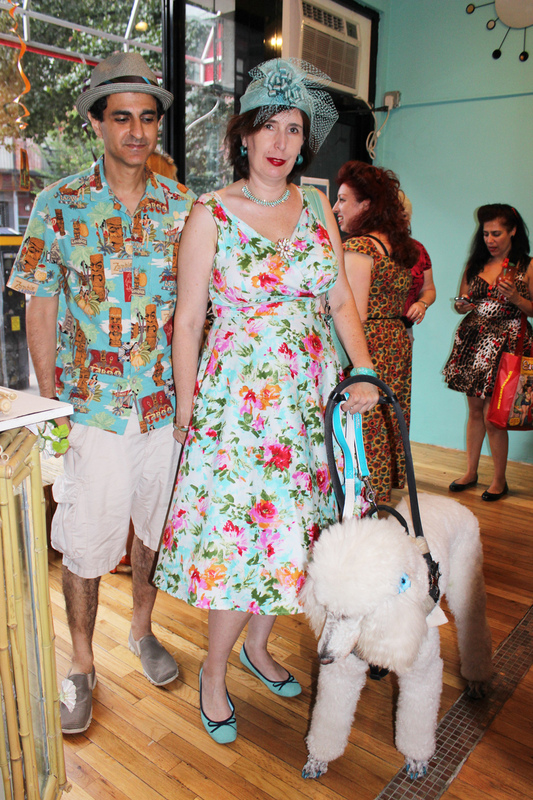 Dan, Alison, and their adorable poodle Willow! I met them at the Enz party and they are such lovely people. The dynamic between Alison and Willow is so beautiful. Look at them dance! Such a cutie! Loved this guy’s shirt! My momma and I! She’s my ride or die, I take her everywhere with me ❤ <3! My ❤ ❤ Always a pleasure to bump into Brooklyn Babydoll! 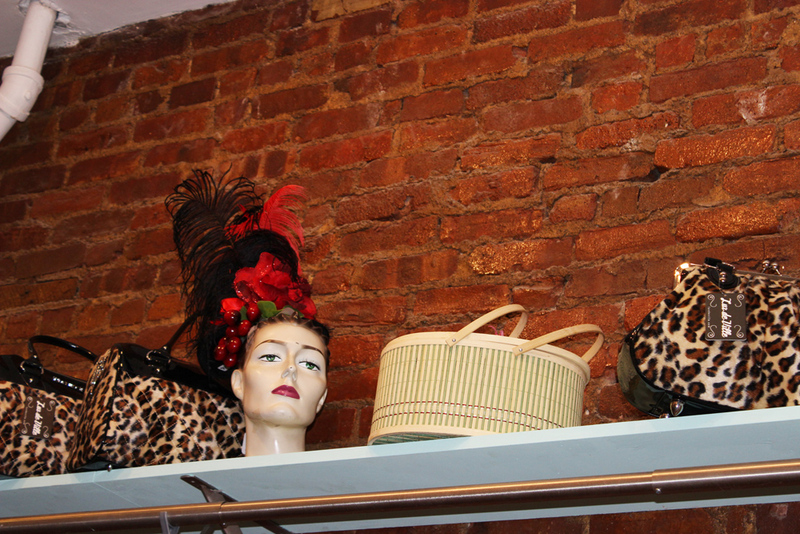 Now head on over to the new Enz shop at 171 5th Ave in Brooklyn and don’t forget about her other location at 125 2nd avenue in the city! 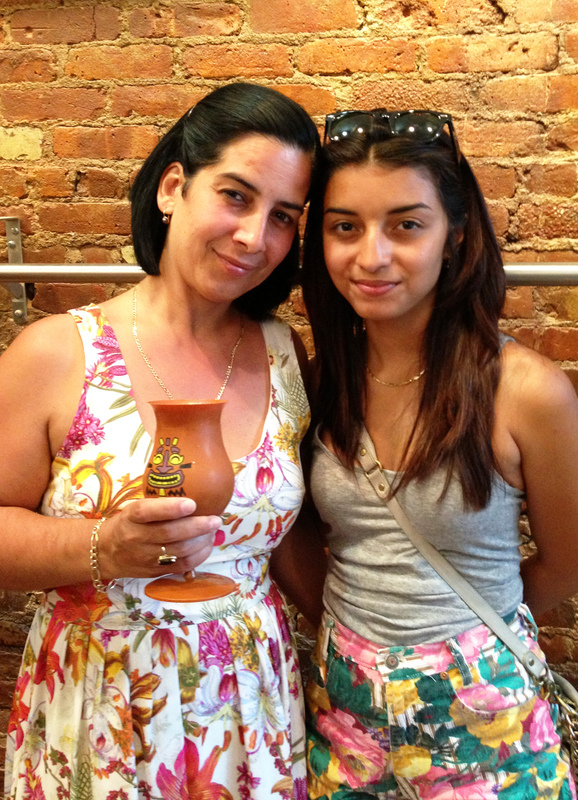 We had such a good time at the Enz’s Brooklyn shop opening. So happy to welcome them into our neighborhood. Meeting you was such a blast. LOVE your sense of style. You get two paws up from Willow too. Can believe you were in my hood and didn’t tell me!